In the highly anticipated sequel to Leona: The Die Is Cast, a corrupt detective deals with the emotional fallout of her actions while investigating a terrorist attack in the heart of Stockholm. A man blows himself up outside the Parliament House in Stockholm, but miraculously survives. Was he a lone wolf, or are there more heinous acts to follow? 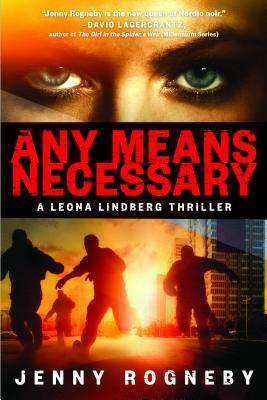 Leona Lindberg is put on the case. But Leona, who has barely escaped her trials from the last case, is focused on other things. Her family is shattered, she is living under threat, and desperately needs liquid assets. It's lucky then, that she can think outside the box like no other detective. With one foot on each side of the law, she mounts a special operation of grand proportions. And the higher the risk, the higher the rewards. Jenny Rogneby was born in Ethiopia, but was given away for adoption when she was one year old. She grew up in northern Sweden, studied criminology at Stockholm University, and became an investigator in the Stockholm City Police Department. Her work inspired her to create the character of Leona and write this best-selling crime novel, the first in the Leona series. Before her career in law enforcement, Rogneby was a singer and member of the pop group Cosmo4. Agnes Broomé is a literary translator and Preceptor in Scandinavian at Harvard University. She holds a PhD in Translation Studies, and her translations include August Prize winner The Expedition by Bea Uusma.